We usually acquire clutter through a lack of being able to throw things away. Maybe we think we will need them further down the line, or we’ve spent money on them and don’t want it to be wasted. Even if we haven’t needed or used the item in months or years, it’s easy to think of multiple reasons for us to keep hold of these once valued possessions. It could be that coat we are keeping just in case, the old record player we swear we will one day get fixed, or some old sports gear we might use again. Whatever the item, the reality is that we probably don’t need it anymore, and it could actually be cluttering our mind as well as our home. Studies have revealed that when we let go of possessions, the same part of the brain which processes physical pain is affected. That’s right, we actually feel physical pain when we lose or have to give up a valued possession. We have built either an emotional or financial investment, and this can make it harder to let go. The main reason we will hang on to these objects we have no real desire to use is fear. We don’t want to regret our decisions, and because we have spent money or hung on to them for so long, it means there is a greater fear of regretting our decision to get rid of them. It’s important to note at this point that everyone’s tolerance to clutter is different. You might think your room or office is perfectly tidy and organised, but another person could find it chaotic or disorganised. It has also been noted that being organised is more about function than appearance, there is no point having a perfect looking home if you can’t get to or use the things you need. The problem is clutter can really affect the mind. Your ability to process information, focus and make clear decisions can be seriously reduced by chaotic surroundings. This is because your attention can’t be fully on the task. Clutter isn’t just about your physical belongings either. Having your phone on with messages coming through, social network updates and emails, also causes your mind to clutter and you to become distracted. In fact, the digital environment can cause the exact same effects to your brain as physical clutter. They both take your attention away from the task at hand. This isn’t to say that you should completely free your home and life of any clutter, as previously mentioned, it’s about finding what works for you. If having your files on your desk makes you feel ready to work, or keeping all your old photos in boxes in the garage makes you happy, then that’s what you should do. The key is to apply constraints and keep your working and active spaces to your optimal standards of clutter. 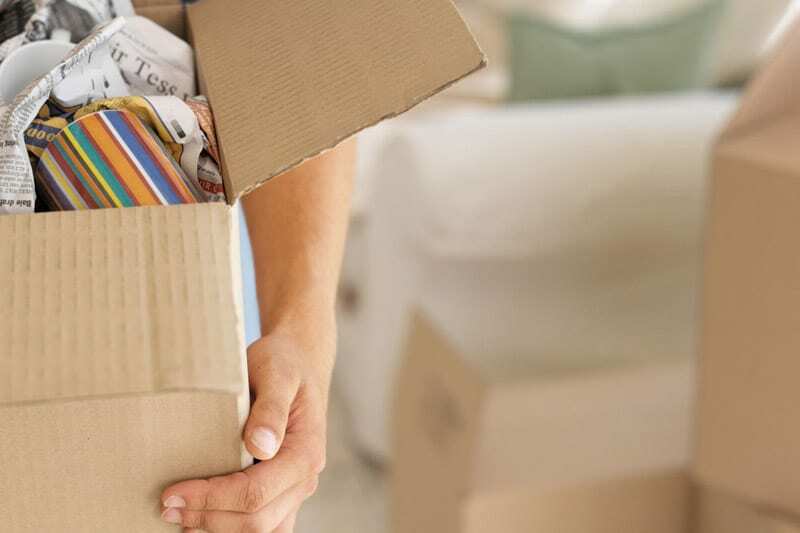 If it is simply too painful for you to let go of some items that are clogging up your home, you should look at alternative means of storage. If you need flexible sizes and rental periods for storage rooms , use a company like Safestore. They have over 100 locations across the UK, so they should be conveniently located close to where you live. The best way to start is to systematically go through each room and begin the process of freeing yourself from things you really aren’t going to use, wear or need. Be ruthless with this part. When was the last time you left the house in that jumper? If it’s been a long time, get it in a bag for charity. Do you keep all saucepans under the sink even though you have new ones? If so, it’s time to throw out the old ones. Do this with each room and a few times a year, this way you are cleansing both your space and mind regularly. You’ll feel better for it, trust us. You could try the 12-12-12 technique for motivation. What this means is you task yourself to find 12 items you can throw away, 12 items you need to find a better place for, and 12 items you can give away. This can be great for children to get involved. If 12 items seems a little high just follow the same principle with a lower number of your choice. If you don’t want the hassle of selling the items you want to get rid of that are still worth money, speak to your local charity shop. It can give a real sense of satisfaction to know something you no longer use is going to good use, and that the money made from its sale is going to a better cause. Preparation is key, mark up some boxes for the stuff you’re clearing out to go inside. Have one for things you will keep, one for charity, and one for undecided. Revisit the undecided box on another day. Store the box you are keeping, and get the other to charity as soon as you’ve finished. Don’t give yourself a great deal of time deciding as this will just cause you mental fatigue and make the process more painful than it needs to be.